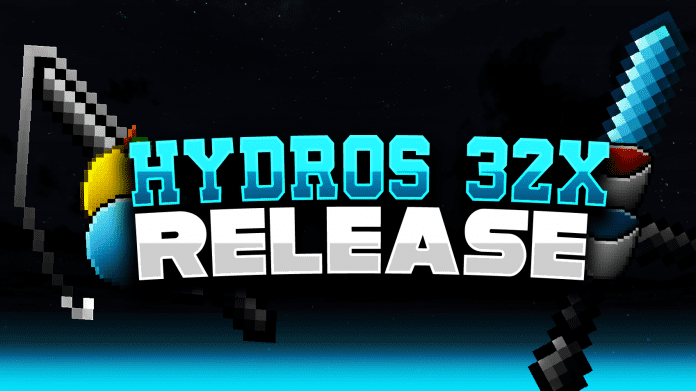 Hydros Revamp [32x] PvP Texture Pack was created by iSparkton on September 2018. It is a revamp of the infamous Hydros PvP Texture Pack that was widely used by a lot of players during the time of its release. This is a 32x PvP Texture pack which means that FPS is not too shabby and the resolution looks perfectly fine. Hydros Revamp [32x] PvP Texture Pack features the aqua blue themed colors laced with dark blue particles and dark colored splash potions. It also consists of a very good looking night sky. If you are a fan of aqua-blue themed 32x resource packs then you should go ahead and try this out. If you don’t know how to install Hydros Revamp 32X PvP Texture Pack just look below, we’ll provide you with a short tutorial there. This installation guide should work with all Minecraft versions. To see the Official Download Links just scroll down. 2. Download the Hydros Revamp 32X PvP Texture Pack from the official links.